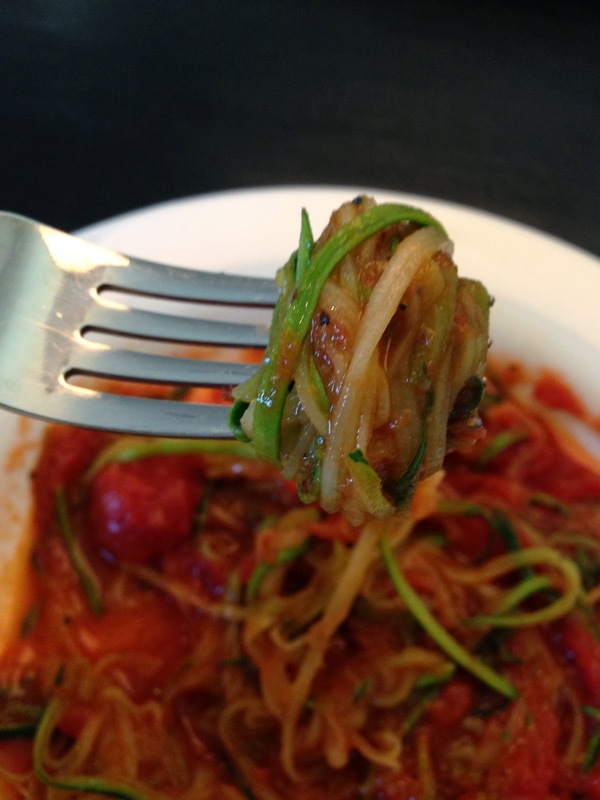 Zucchini Spaghetti is my new favorite pasta! This is so much easier & healthier than making regular pasta but I'm pretty sure it's going to take awhile to convince my family of that! 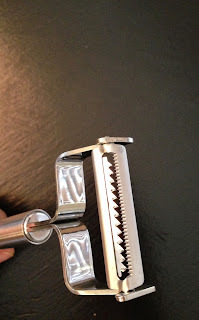 This is a julienne peeler and it is easier to use than a mandolin when cutting your zucchini into thin strips. I did see a spiral slicer on Amazon that will make the zucchini look more like a noodle which would probably be easier to trick the kids with but for now I'm sticking with the peeler. 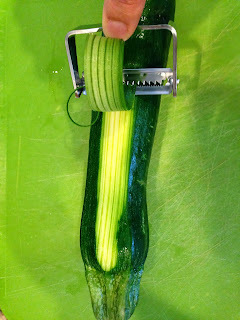 Clean your zucchini and then place on a cutting board to begin the process. I didn't peel mine but feel free to do so. Start slicing until you see the seeds and then flip over until you have sliced all sides. Go ahead and discard the center with the seeds. 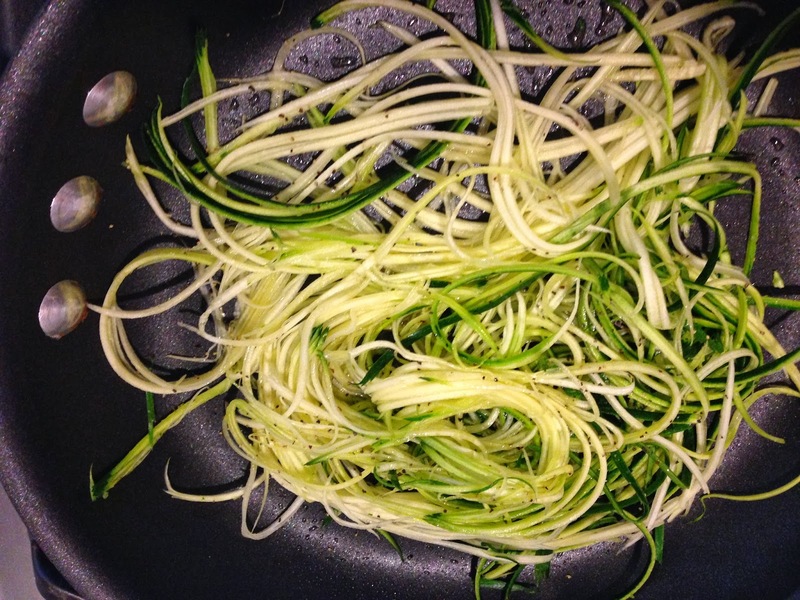 Next you will need to salt and let your zucchini sweat for about 30 minutes. 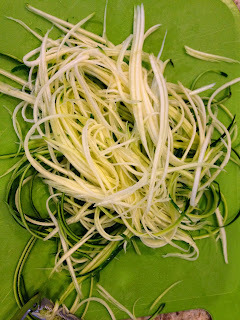 Zucchini is made up of a lot of water so this step is a must unless you want to make zucchini soup spaghetti! I then sauteed in a skillet with olive oil, pepper and garlic for just a few minutes. 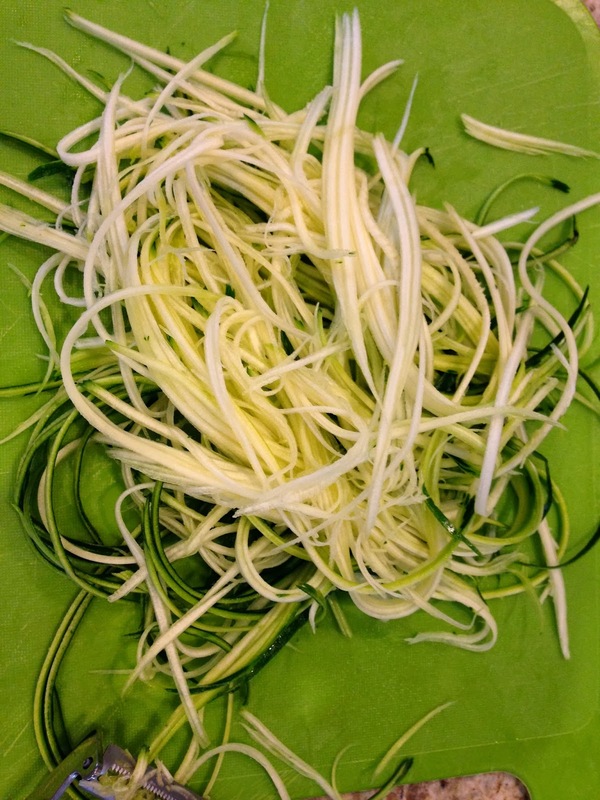 Then I added in marinara sauce and let it get acquainted with my zucchini to finish my spaghetti! 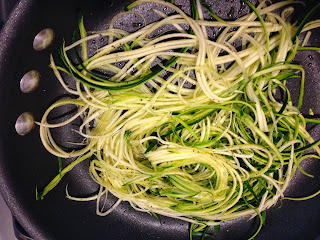 I would love to know if you have another zucchini recipe that you love. YUMMY. We love zucchini. I have made bread and muffins with it an "no even knew". I have also made Zucchini Lasagna. I used this recipe but when I don't have time to grill I just broil them for a bit. SO GOOD. Thanks for the recipe! I will def try the zucchini lasagna!